Don’t break your hair; just the bad habits. There are some of the mane-ruining routines that could be the culprits. One of which is smoking. For smokers, quitting is easier said than done. But there are tons and tons of facts on its bad effects that they just need to digest for them to do so. One of which is that hair loss and thinning could be blamed from tobacco toxins they get from smoking. Because of blood, the oxygen and nutrients are brought to the body’s tissues, organs and all the way up to the scalp where the hair follicles are nourished. With just some puffs of your favorite cigarette brand, you simply destroy the smooth flow of your blood throughout your body. Approximately, there are 4.000 chemicals found in cigarettes, including 43 known cancer-causing compounds and 400 other toxins. Among them, it is the carbon monoxide that causes damage in the cells. Also, it reduces the flow of oxygen in the bloodstream. Hence, hair follicles not only won’t receive the proper nutrients they need, but also will suffer damage from the chemicals and toxins that are carried by the circulatory system. 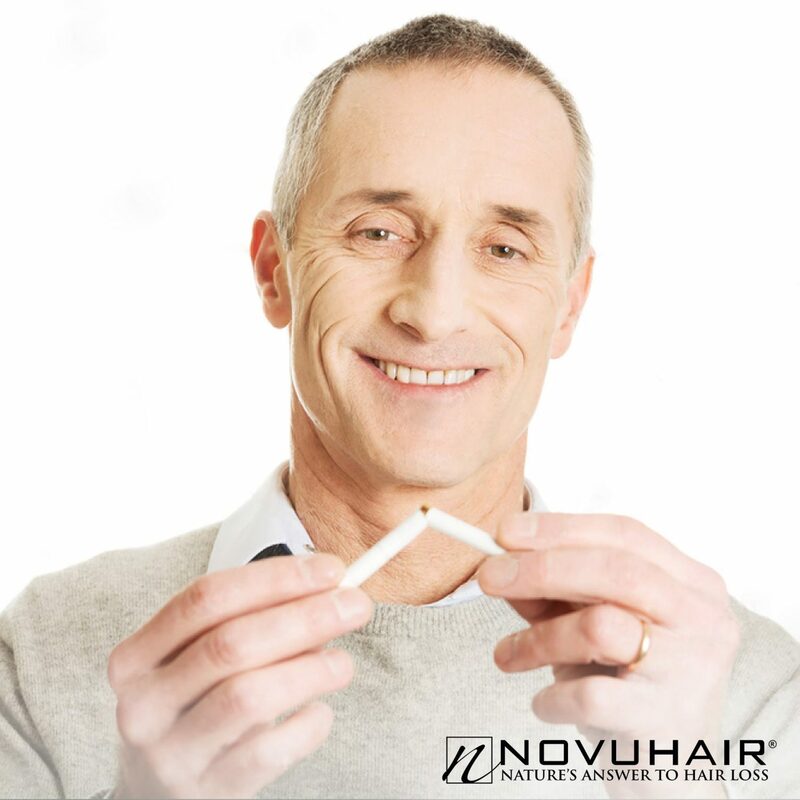 Based on a report in the British Medical Journal, premature graying of the hair is linked also to smoking. It is noted that the melanin pigment produced by the melanocytes results to the color of the hair, be it black, brown, blonde or red. There are indications that smoking can damage the melanocytes that produces the melanin. What is also certain is that smoking triggers the destruction of collagen and elastin—the building blocks of healthy hair and skin. The lack of these proteins is what makes the hair and skin age. But there are ways to stop sniffing tobacco or cigars. First and foremost, change your routine. If you can’t help but crave for its addictive smoke, divert your longing for food or other activities instead. By way of it, you can defocus yourself from smoking and avoid triggers. Detoxify from the chemicals of cigarettes. Remember, these are among the causes of your yearning for puffs. To remove them out of your body, drink a lot of liquids, such as water and fruit juices. Not only that they will help you flush out the toxins, but also refreshes your health condition. If you’re a non-smoker, the least you can do is avoid the “walking chimneys” at home, office or any public place where smoking isn’t prohibited. Studies have shown that passive smoking or breathing in other people’s smoke can cause cancer, much more of its toxic chemical contents. For smokers themselves, don’t stick around with fellow smokers or smoking areas so your mind and body will get used to the changes. There’s nothing to beat eating healthy, of course. Foods rich in antioxidants are effective to counter the effects of the harmful chemicals you inhale from smoking or those that are still present in your body. Going natural is always the way to go when it comes to taking care of your body. It’s best if you complement it with the use of a topical lotion that could help prevent or address hairloss. Novuhair, which is rich with active 19 natural ingredients, helps stimulate growth of the “crowning glory.” This natural manecare product penetrates deeply into the scalp and tress to enhance blood circulation, improve overall appearance, maintain moisture, and promote nourishment and rejuvenation. For finer details, visit www.novuhair.com.